Provided photo Tin cans and other coverings such as this one on water and electric meters are disrupting automated meter readings. Provided photo Coverings and other obstructions on water and electric meters are disrupting automated meter readings. 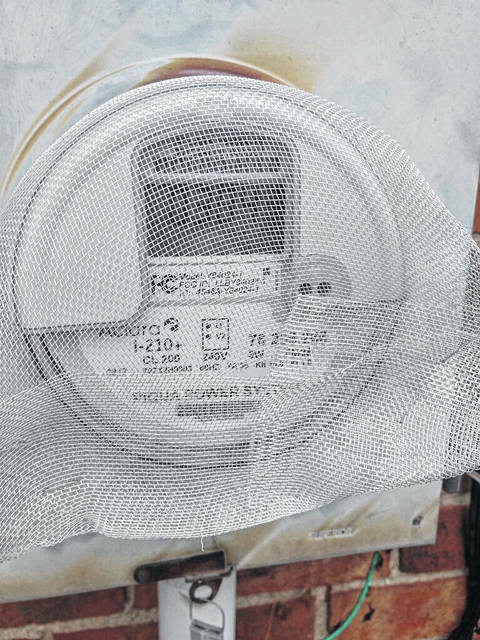 PIQUA — The city of Piqua is advising residents who obstruct water or electric meters with various types of coverings that those services may be shut off until those types of obstructions are removed. 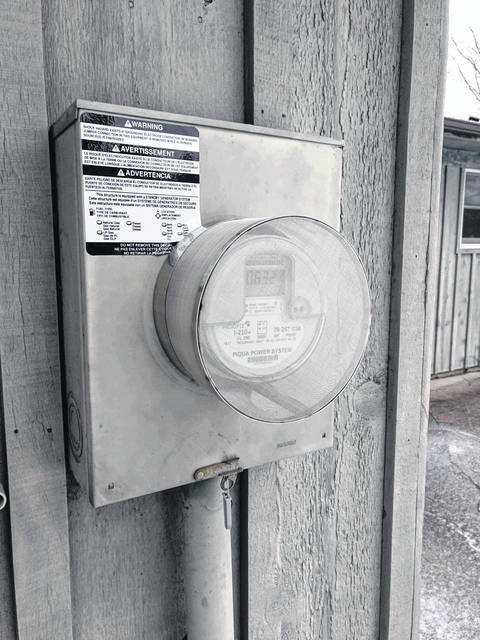 Brittany Van Horn, public relations and special events coordinator for the city of Piqua, said that the city has been finding boxes, mesh wire, tin cans, aluminum boxes, and other types of coverings on water and/or electric meters to disrupt the signal from those automated meters. These types of materials block the signal and disrupt meter readings, preventing the city meter readers from reading them electronically and in person. Van Horn said this prevents the city from billing customers for the correct amount. “Those meters are city property,” Van Horn said, adding that covering and obstructing the meters to disrupt the signal or prevent them from being read means those residents are technically defacing city property. The city of Piqua advised that if those obstructions are not removed from water and electric meters, those services may be shut off until the obstructions are removed and the residents let the city know that those obstructions have been removed. 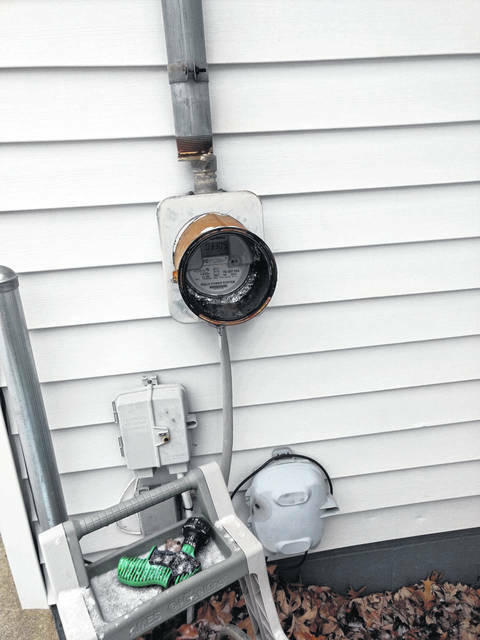 https://www.dailycall.com/wp-content/uploads/sites/30/2019/01/web1_Obstruction-1.jpgProvided photo Tin cans and other coverings such as this one on water and electric meters are disrupting automated meter readings. https://www.dailycall.com/wp-content/uploads/sites/30/2019/01/web1_Obstruction-2.jpgProvided photo Coverings and other obstructions on water and electric meters are disrupting automated meter readings. https://www.dailycall.com/wp-content/uploads/sites/30/2019/01/web1_Obstruction-3.jpgProvided photo Coverings and other obstructions on water and electric meters are disrupting automated meter readings.